"I joined HMS Bulwark in Malta on the 15th June. The ship’s crew were getting ready to return to sea after a few days respite following their largest rescue of 1200 migrants in the Mediterranean just the week before. 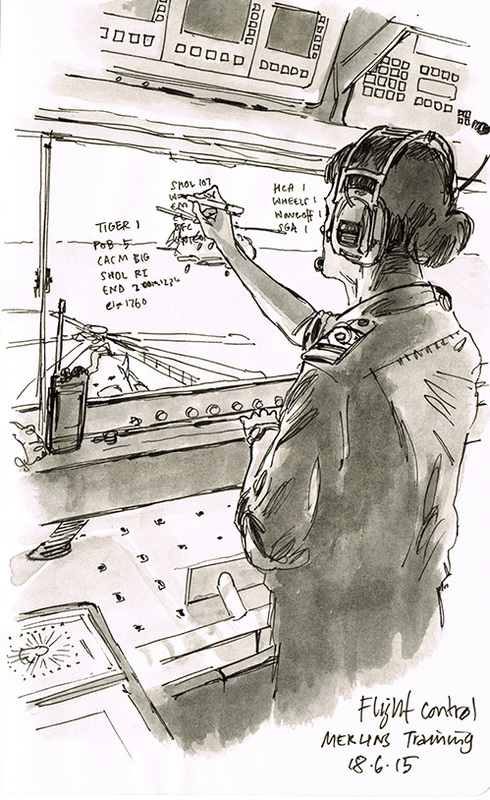 I was on board to observe and record, using illustration. Bulwark’s current mission, known as Op WEALD, is the UK's contribution to SOLAS (Saving Of Life At Sea) Operations." Dan Peterson is a freelance illustrator based in Cardiff, Wales. As one of the editors of the main USk site, we are involved with attempting to bring timely news articles to our readers attention. I was delighted when Dan agreed to supply the first of his posts based on his experiences on board HMS Bulwark - both timely and newsworthy! Read the full post here.